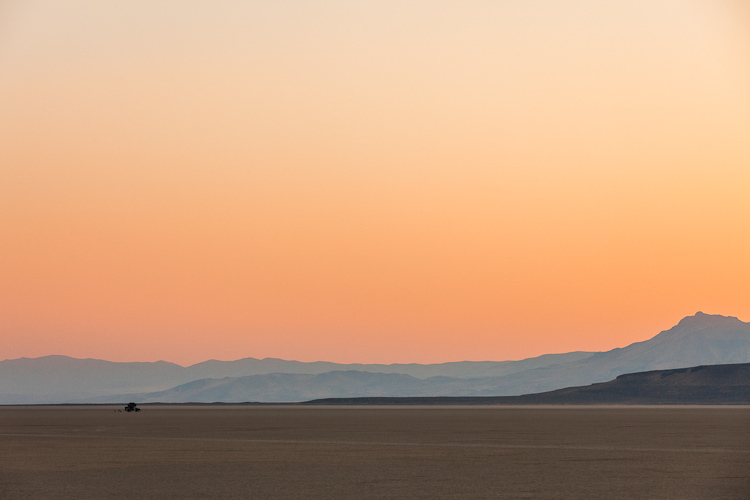 An overlander experiences the serene soft orange and red light after sunset in the Alvord Desert in a remote part of Southeast Oregon while overland camping with a rooftop tent. 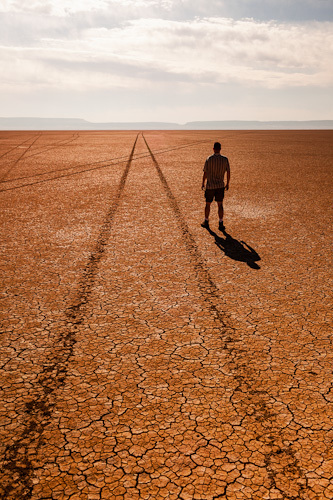 A man stands next to a set of tire tracks stretching off into the distance on the dry lake bed playa of the Alvord Desert in Southeast Oregon. 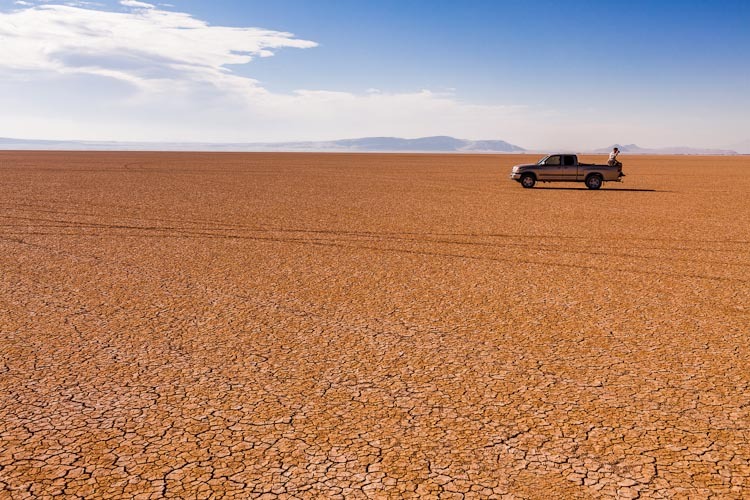 A man sits on the rear of a 2002 Toyota Tundra on the Alvord Desert drinking coffee in Harney County, Southeast Oregon. 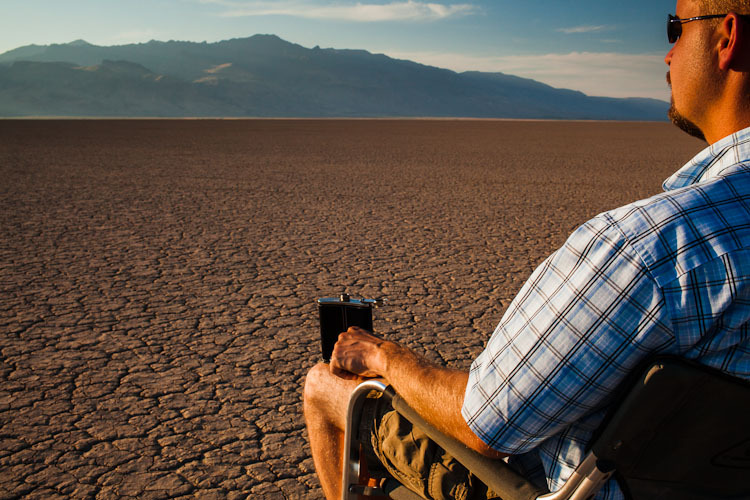 A man in his 30's sits on a Coleman folding chair in the Alvord Desert, looking toward the sunset and Steens Mountain in a remote part of Southeast Oregon. 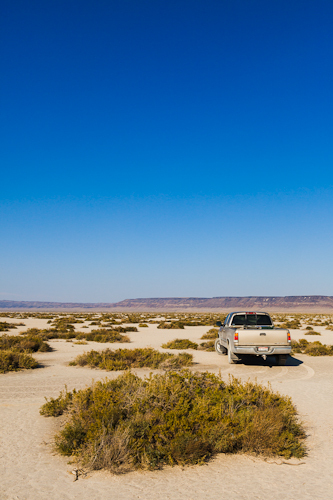 The Alvord Desert is in remote Southeast Oregon along the Steens Mountain area and Field-Denio road. 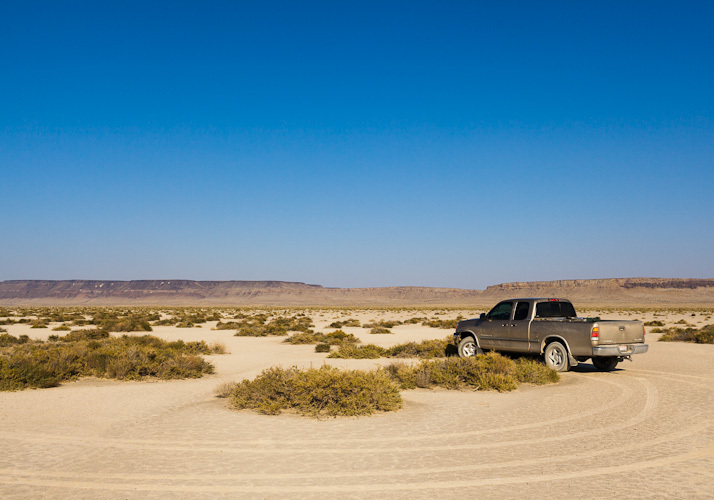 The area is popular for landsailing, overlanding, and high-speed driving. 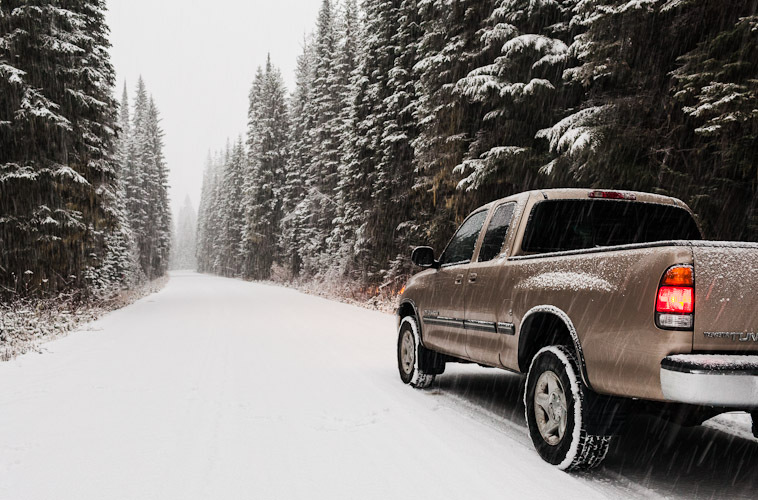 A 2002 Toyota Tundra truck drives on a remote road, making trail during a winter snowstorm.